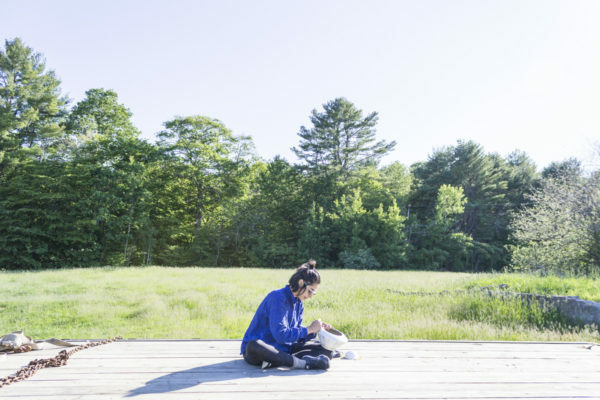 As our summer staff members pack their cars and head off to their next adventures, the summer residency season draws to a close. 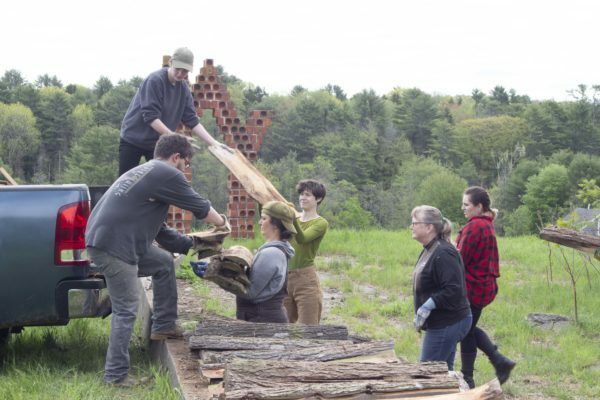 We are grateful for all of the artists who shared in the 2018 residency with us. 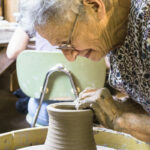 Please enjoy the following images and reflections from each of this summer’s sessions. 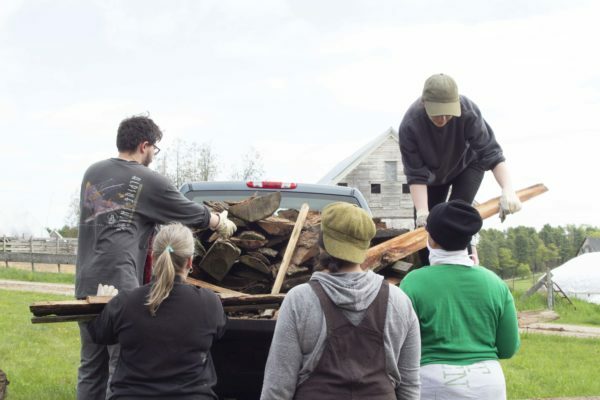 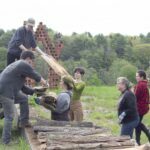 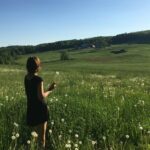 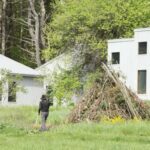 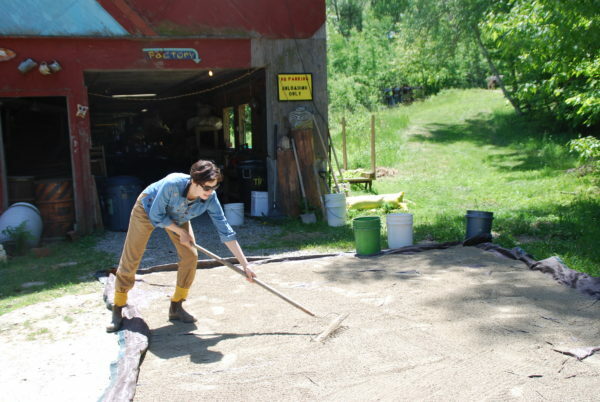 In late May, eleven Pre-Session artist-volunteers arrived at Watershed to help prepare the buildings and grounds for the season ahead. 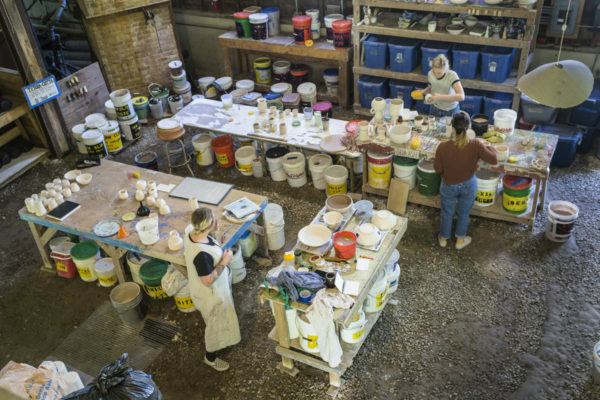 The group spent their first two days on campus pursuing their own projects in the studio and then tackled an array of maintenance and facilities tasks. 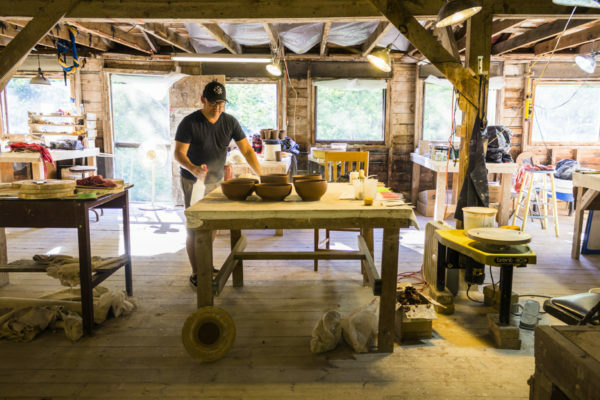 They spruced up the studio, painted the interiors and exteriors of the residential cabins, mixed 1500 pounds of clay, helped with grounds-keeping and landscaping, and stacked four cords of wood. 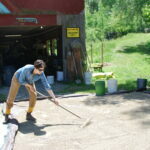 Their instrumental support helped Watershed’s small staff immensely as we readied to welcome artists for the summer. 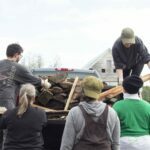 Volunteers included Cara Beglin, Sarahlynne Bradford, Georgia Cronin, Ben Culbertson, Gail Culbertson, Luke Fasano, Nadia Koltsoon, Mary Montgomery, Pam Nobles, Andy Rogers, and Lizaveta Romanovski. 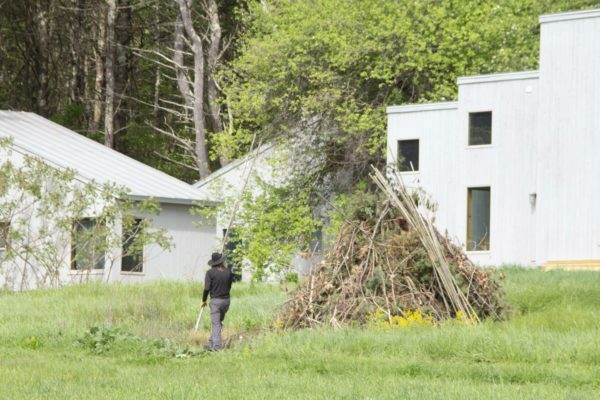 Watershed’s first residency of the season brought together artists, designers, and curators interested in exploring new modes of sharing work in both physical and digital spaces—from pop-up shops and supper clubs, to animations, videos, and performances. 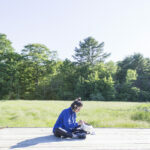 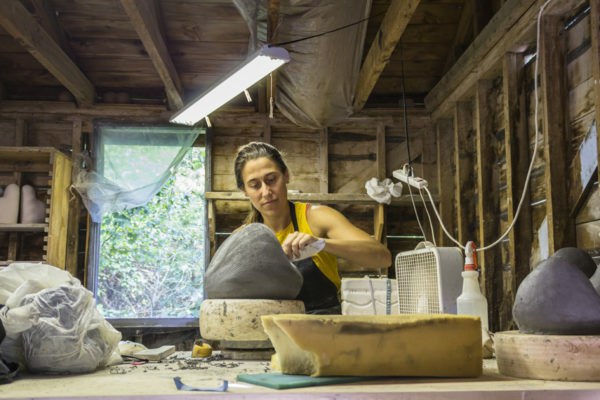 Participating artists spent long hours in the studio, visited nearby swimming spots, and experimented with a range of atmospheric firings during their two weeks together. 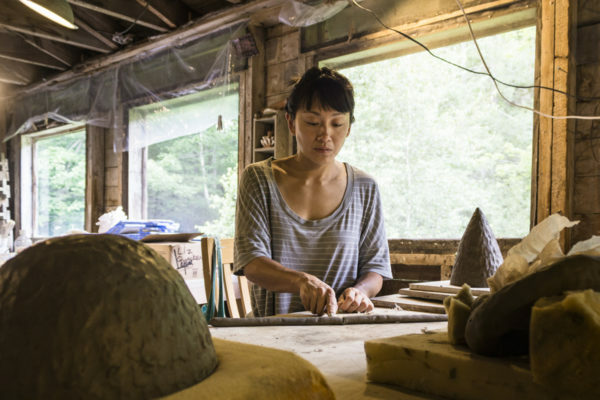 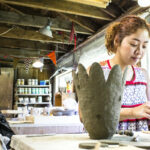 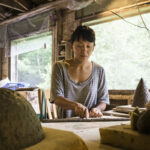 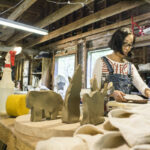 They also took a field trip to Ayumi Horie’s studio in Portland, ME. 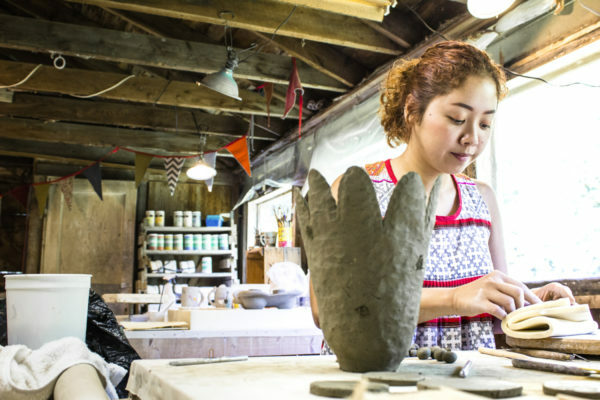 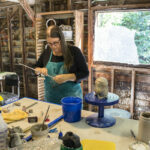 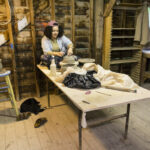 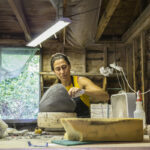 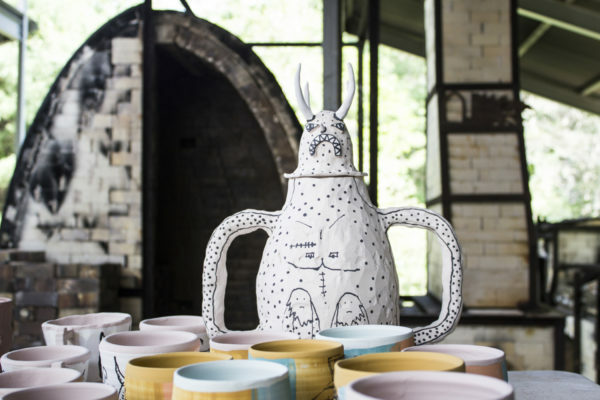 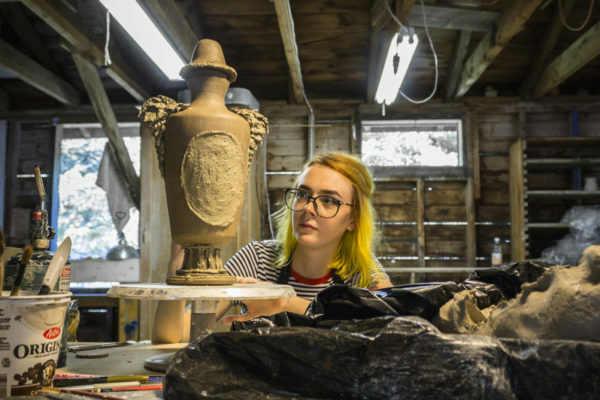 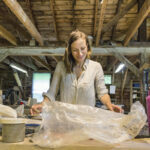 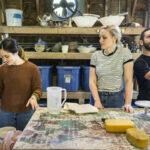 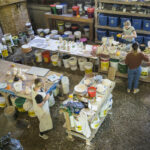 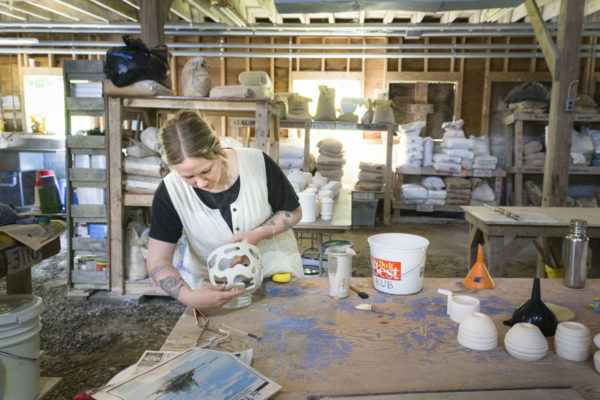 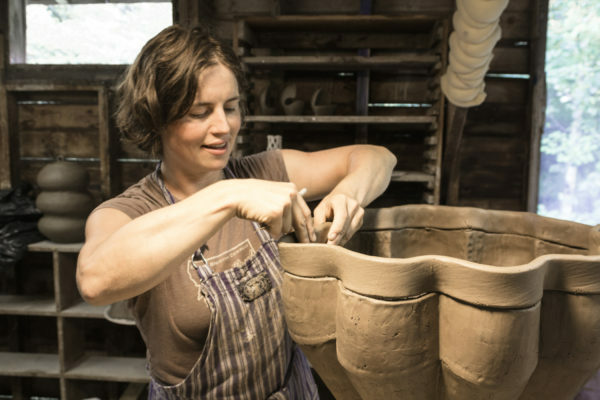 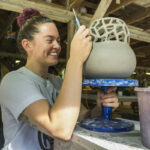 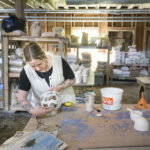 She gave the group a tour, demoed her air-release press mold, and discussed the origins of Pots In Action and the ways that the national and international dialog around clay and ceramic work continues to evolve. 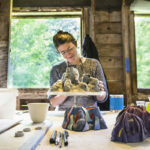 Participating artists included Alexandria Algiere, Mérida Anderson, Brianna Burke, Taylor Carter, Kyle Demmon, Lindsey Hampton, Natalie Hererra, Ali Karsh, Taylor Kibby, Negina Kolesar, Shannon Maldonado, Ben Medansky, Jason O’Malley, Yelani Stieg, and Kelly Witmer. 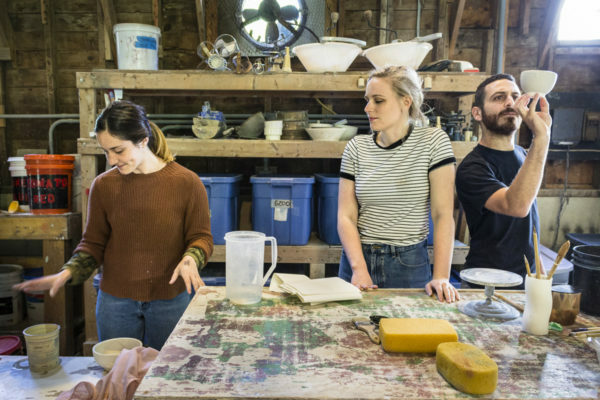 Fawn Krieger and Emily Weiner organized a session for artists who work in a variety of disciplines—from photography and video, to portraiture, painting, installation, and social practice. 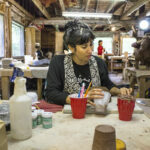 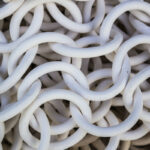 The group was interested in exploring how clay can integrate with other methods and materials. 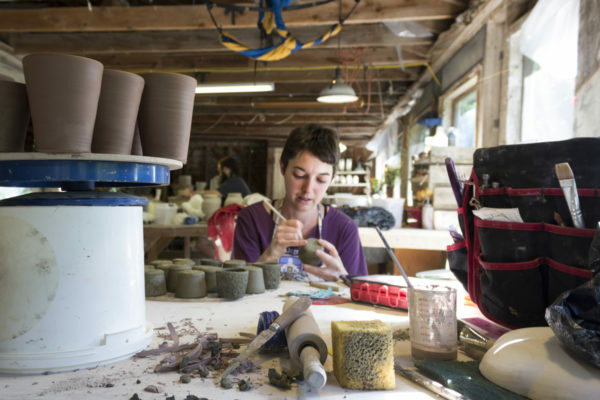 While many of the participating artists had extensive experience working across media, many were relatively new to clay. 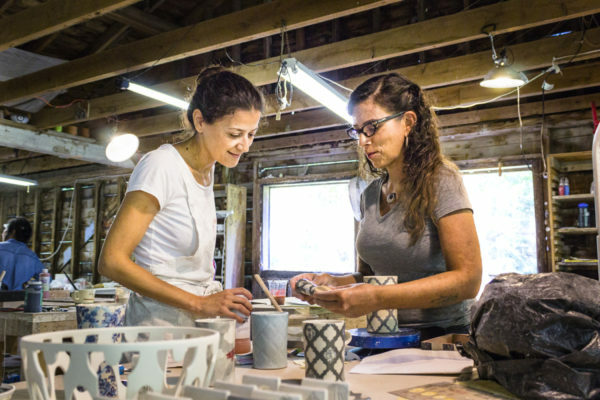 The dynamic and innovative ways that they approached working with the material led to a wide variety of experiments and finished pieces. 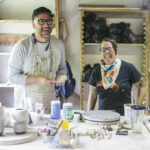 Participating artists included Tyler Beard, Sasha Bergman, Amelia Carley, Suzanne Goldenberg, Fawn Krieger, Daniel McGarry, Keiko Narahashi, Ed Pell, Amy Pleasant, Leah Raintree, Amber Sandoe, Dustin Senovic, Barb Smith, Molly Surno, Daniel Trejo, Emily Weiner, and Payton Wiedner. 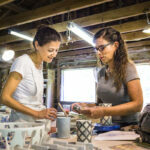 After completing formal training, many artists discover that finding a creative community can be challenging. 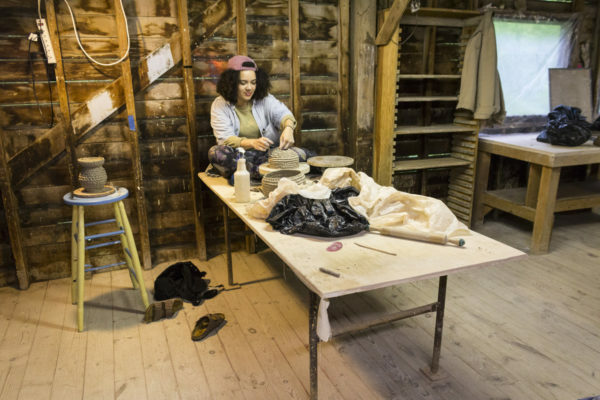 Artistic collectives provide support, encouragement, and visibility for those with independent studio practices. 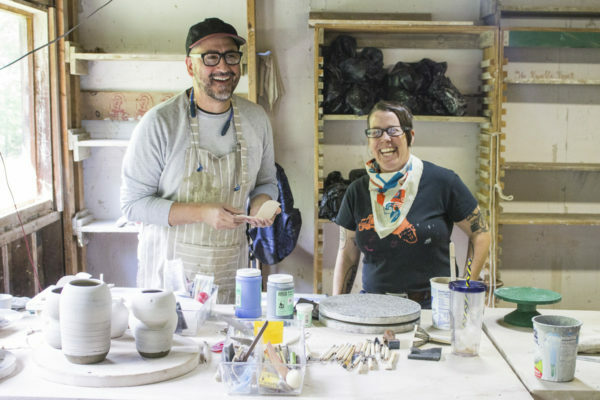 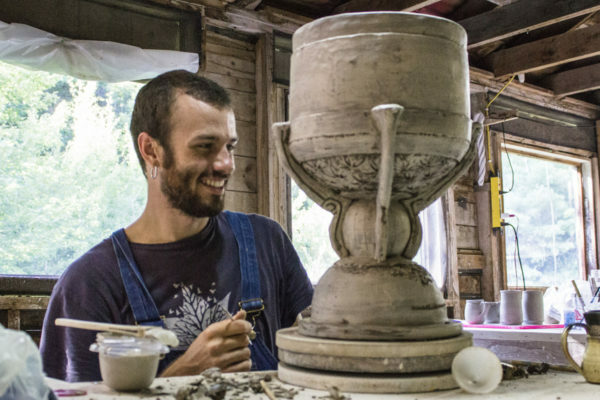 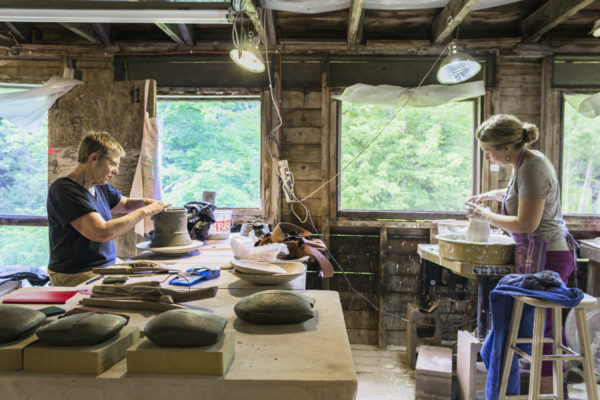 During Watershed’s mid-summer residency, members of the Kansas City Urban Potters collective (KCUP) anchored a session that exemplified the collaborative spirit that the clay community cultivates. 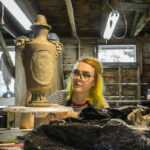 Participating artists worked day and night in the studio, hosted a fantastic (and fantastical) costume party, and spent time together on and off campus. 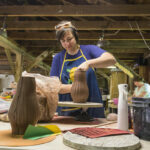 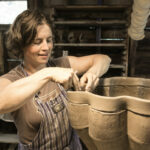 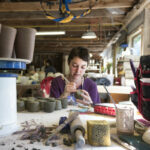 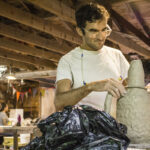 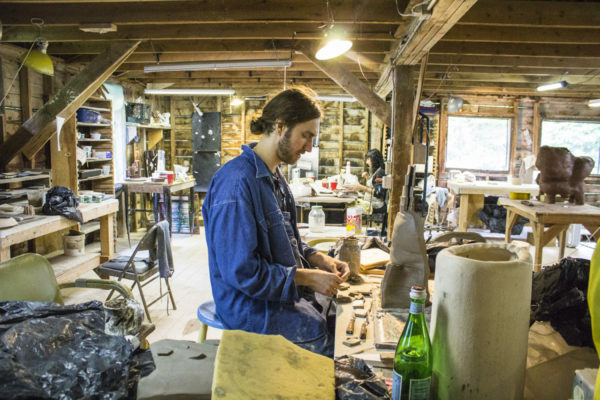 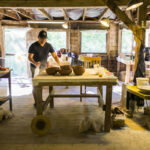 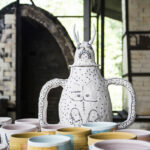 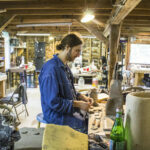 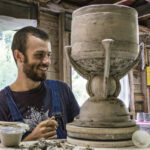 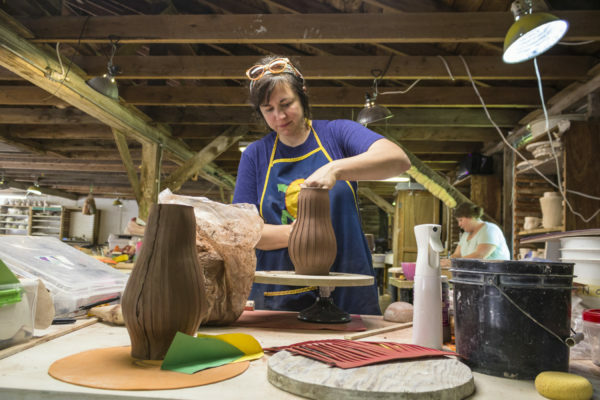 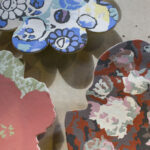 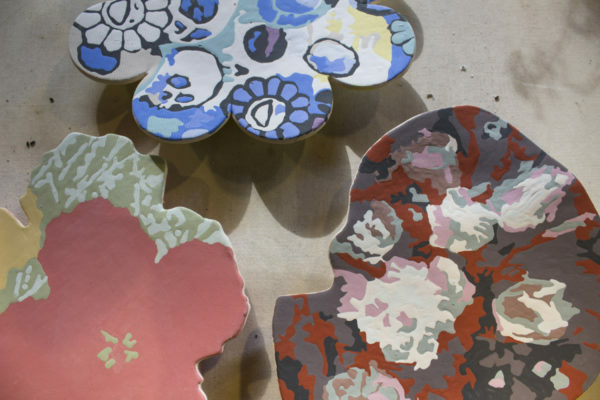 KCUP artists also hosted a one-day demonstration workshop for regional ceramic artists. 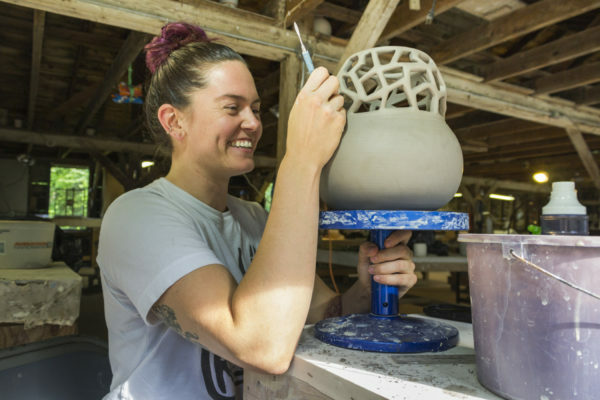 Session III artists included Carmen Allen, Christina Bendo, Kaitlyn Cirielli, Chandra DeBuse, Paul Donnelly, Mark Fehl, Tommy Frank, Rain Harris, Meredith Host, Kim Kirchman, Eder Perez, Kyla Toomey, Alex Watson, Adam Yungbluth, and Melissa Yungbluth. 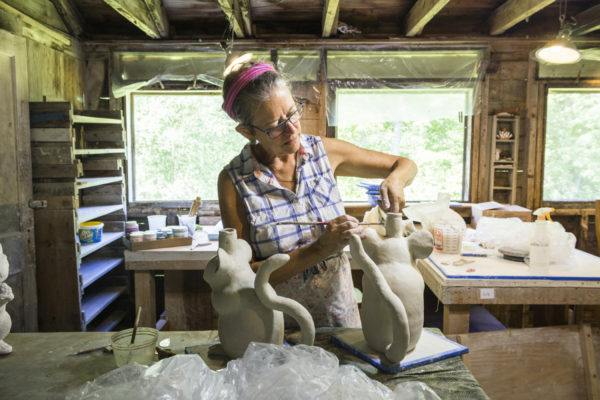 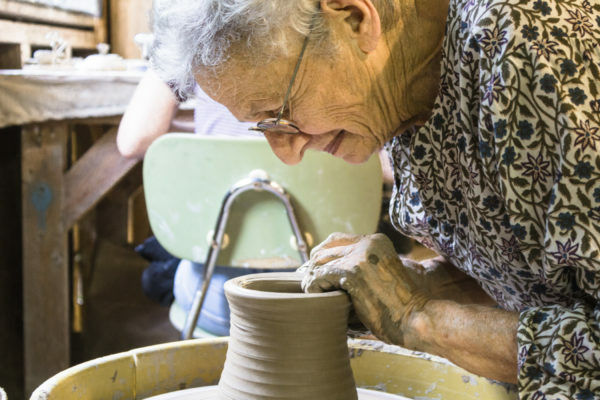 Members of this session—organized by Normandy Alden—used Jenni Sorkin’s book, Live Form: Women, Ceramics, and Community, as a foundational text to examine how women clay artists have influenced and shaped the ceramics field over the last seventy years. 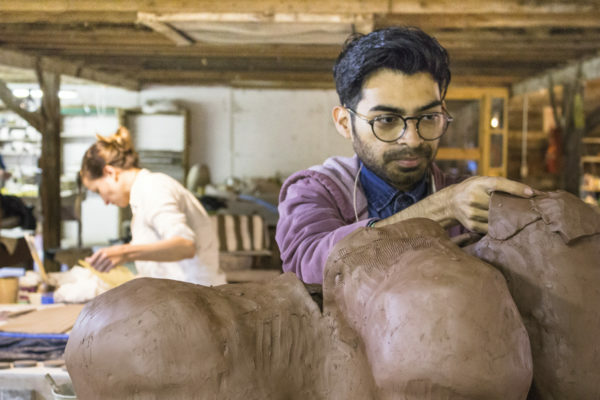 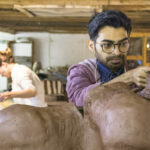 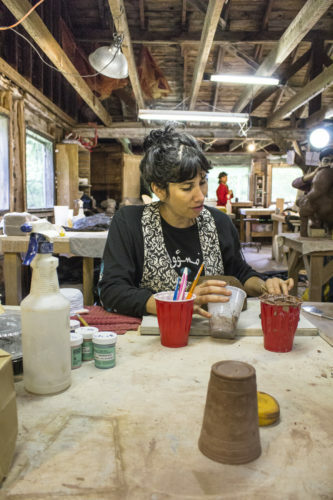 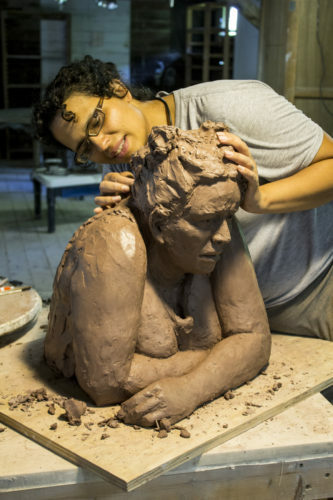 In addition to spending hours together in the studio, the diverse group of participating artists held daily discussions on women’s collective history in clay and how the current political and social climate plays a direct or indirect role in their work. 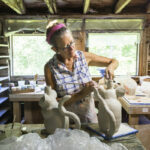 Participating artists included Normandy Alden, Mary Barringer, Elisa DiFeo, Jackie Fischer, Michelle Grey, Nicole Gugliotti, Aisha Harrison, Noelle Hiam, Dana Lofink, Aysha Peltz, Liz Quackenbush, Deborah Rapp, Tracy Ren, Holly Roberson, and Hilda Steckel. 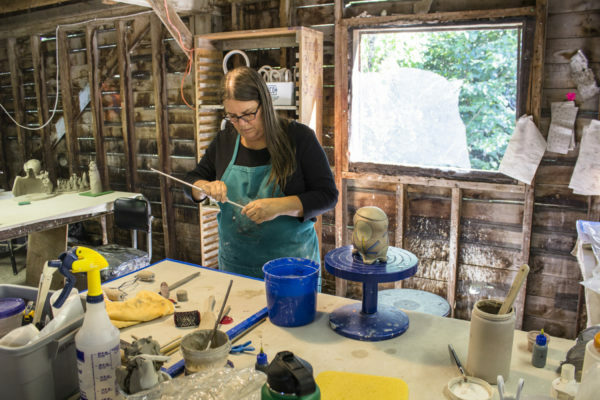 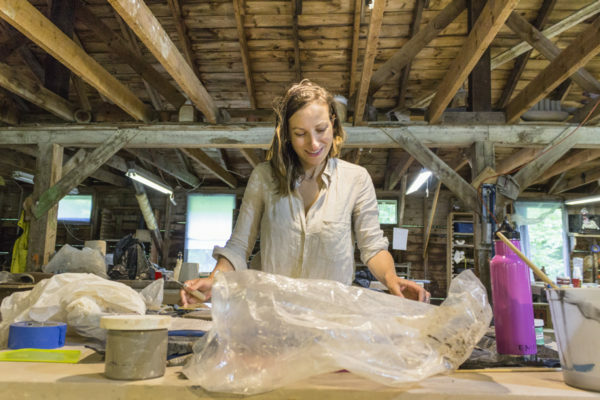 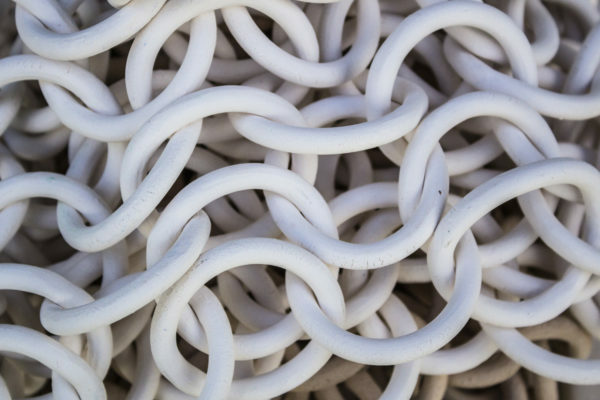 Shanna Fliegel created a session for artists and makers interested in exploring new ways to develop the surface of their work. 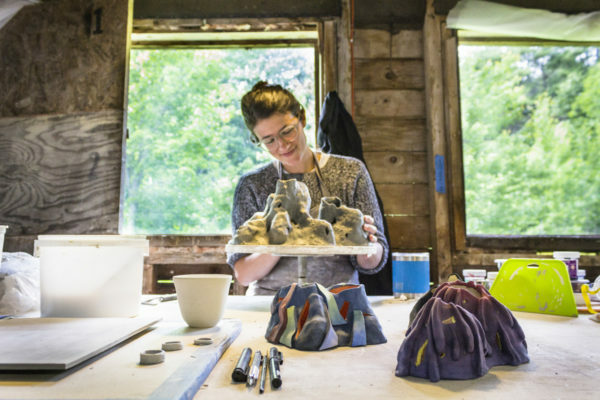 Participating artists shared strategies they use in their own studios during informal demonstrations and discussions. 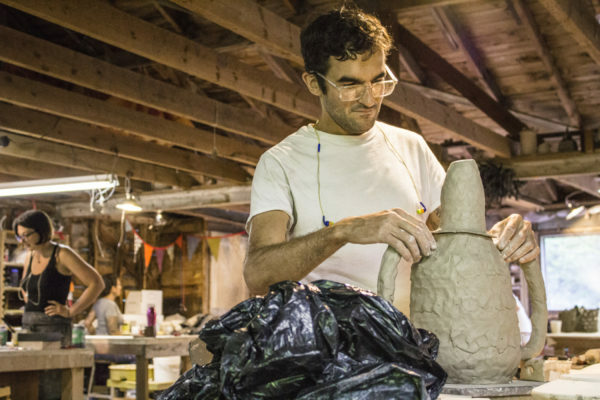 The group fired Watershed’s soda kiln and enjoyed experimenting with a range of surface development techniques. 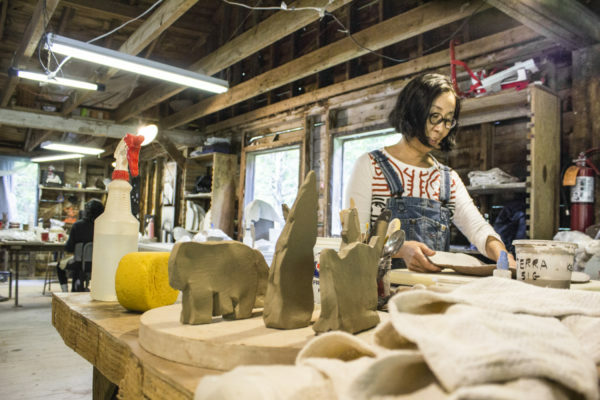 Participating artists included Estelle Berrebi-Hurst, Sukjin Choi, Joe De Pinho, Shanna Fliegel, Zahava Friedman, Joshua Hamilton, Sarah Leber, Melissa Mencini, Joyce Nagata, Brooke Noble, Adams Puryear, Chanakarn Semachai, Candace Sidner, and Megan Whetstine. 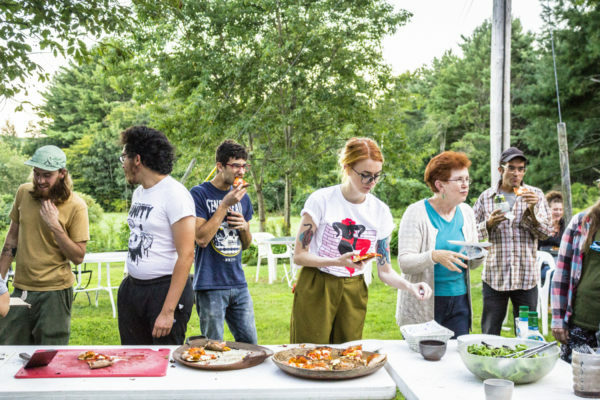 Resident artists and staff enjoy wood-fired pizza.